The Indian table tennis team's Polish coach Leszek Kucharski frankly believes the standard of Indian men players is as good as that of the Europeans, but if there is one thing that needs to be worked on, it is their fitness. Kucharski, a former World No. 11, however, feels Indian women players have quite a bit of catching up to do to get to high international standards. He realises he has a tough job on hand, with only four months to prepare for the London Olympics qualifiers. "The men's level is comparable with that of the Europeans, while the women need to do a lot of catching up. It has been good so far and I will be working with them on all aspects of the game," Kucharski told IANS from the Netaji National Institute of Sports, Patiala, adding that he is still to meet India's top star and World No 79 Sharath Kamal, who is busy playing in Germany. On his first interaction with the top Indian players, he says they all seem quite pumped up for the nationals in Lucknow, starting Monday, and are eager to do well. The Pole took up the job only in November, though his predecessor Italian Massimo Constantini's term ended with the Guangzhou Asian Games in Nov. 2010. Anders Johansson was the first choice of the Table Tennis Federation of India (TTFI), but the renowned Swedish coach backed out, citing family compulsions, in July. 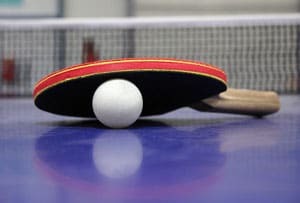 Ever since table tennis was introduced at the 1988 Seoul Olympics, India had been represented by a male and a female players, and this time a second player in the men's singles is seen as a strong possibility when the qualifiers are held in April in Hong Kong. Kucharski is confident of India getting the three spots, though it would have been a certainty if he had a little more time to work with the players. "Table tennis is not a sport like weightlifting in which you train athletes and get results in six months' time. The minimum process should be from Olympics to Olympics, that is, at least four years. Having said that, I will try to work and share with the players all the knowledge I have of the game," said Kucharski, whose contract will be up for renewal after the London event. He is now conducting his first camp with the senior team in the run up to the Lucknow Nationals followed by the Asian Championships in Macau next month. Before getting down to his work, Kucharski went round the country watching various national events and he is particularly impressed with Soumyajit Ghosh and Ankita Das, who are knocking on the doors to get into the senior teams after their noteworthy performance at the junior level internationally. Ghosh won the bronze medal at the 2010 World Juniors while Ankita surprised many by making it to the quarters at the 2011 edition. "Soumyajit, in my opinion, will succeed at the highest level in the next three-four years and replace the likes of Sharath in the Indian team. 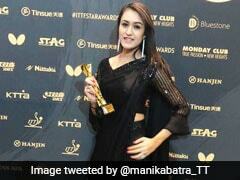 Ankita and Shamini Kumaresan are the two promising women." Kucharski says his priority is on improving players' fitness which he feels will lift their overall game. "Seventy percent of the game is played through the forehand. Some Indian players have a good back hand, someone like Ghosh has a powerful forehand, but to better every stroke you require to raise your fitness levels." Interestingly, he says, "fitness plays a role even while receiving serve." "The women players especially lack fitness required to play this fast-paced sport." 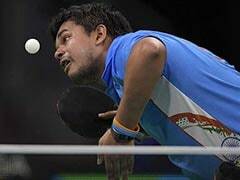 The 52-year-old sums up saying that he is confident of the Indian table tennis players going places, but his immediate concern is to see three players making it to London.